Last year I was fortunate enough to take an extensive vacation throughout France, discovering the north, south, east and west of this fascinating country and discovering that there is in fact, far more to the nation than its popular capital, Paris. I met up with a couple of guys who were going on a wine tour through the country and asked if I wanted to tag along. As someone who is more accustomed to chugging a Miller Lite spent the next 2 weeks discovering the best wine regions in France. I am now a converted wine lover and if you like the vino too, then here are the best regions in France to visit. Bordeaux is the real master of the wine producing regions in France and it has gained notoriety worldwide for its outstanding contribution to the world of wine. Much of his is thanks to its proximity to the sea, meaning that exporting the wine has been pretty easy for many years. This region is over 100 kilometers squared and offers some of the finest wines in the world. What would a wine tour to France look like if it didn’t include a visit to the home of the most expensive sparkling wine in the world, Champagne. In all honesty, I could never really tell the difference between a Champagne, an Asti or a bottle of cheap fizz bought at 7/11 before I visited the region. Thanks to the informative tours however, I have a new found appreciation for Champagne, how it is made and what to look for in a good bottle. This is the second highest sparkling wine-producing region in France behind Champagne and offers some beautiful Anjou Rose amongst others. This was my favorite place in terms of landscape and fun to be had and in actual fact the wine tours here were really entertaining as we sampled Muscadet, Pouilly Fuissé and my favorite, Gros Plant. I had never really understood the wine to go with food thing, but after eating some delicious seafood with these wines, I genuinely understood the connection. Prior to visiting France, this was one of the few French wines which I had actually heard of, so I felt as though I had to visit the source. What I hadn’t expected was a collection of vineyards which spread across the 200 kilometer long Rhone Valley. I have to be honest, this valley is absolutely stunning and whilst the wine may not be the greatest which France produces, I didn’t see a more extensive or ornate collection of vineyards as I witnessed here. 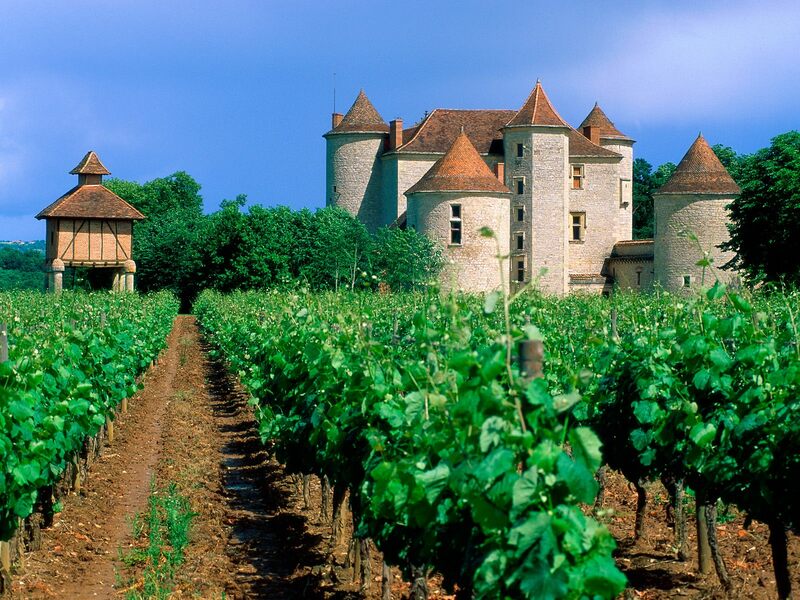 If you want to go for a wine tour to France then these are the areas which I would most recommend that you visit, not only will you discover a beautiful range of wines but you will also be able to see the most beautiful side to the country at the same time.